Forget about packing your Berocca for Ibiza this summer, you need a few sachets of the new SOS Rehydrate. It's a sports recovery supplement that has been personally endorsed by Sir Ben Ainslie and as well as providing athletes with a rehydration solution post sport, it's also amazing for those that live in the fast lane and will be hitting Ibiza and other party islands hard this summer! Basically, athletes and active individuals who want to stay hydrated and performing at their peak now have a new rehydration solution comparable to a drinkable IV. 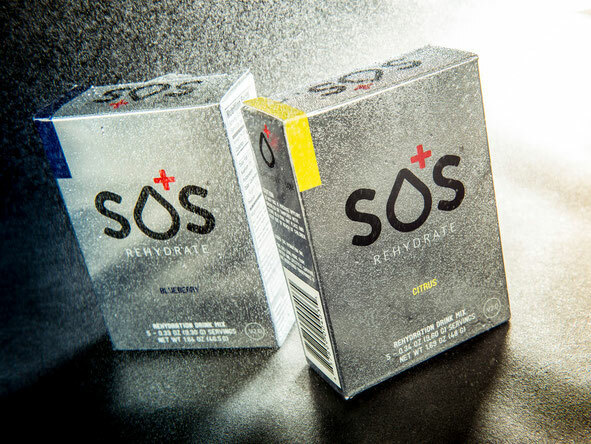 SOS is formulated to provide the right balance of electrolytes and sugars for optimum hydration, and is the only product that utilizes the World Health Organization's oral rehydration solution standards. Unlike plain water, energy drinks or sports drinks, SOS enhances the body's water absorption process by mixing the correct amount of electrolytes and sugars. The product is based on a formula discovered more that 50 years ago and used by medical practitioners to treat mild to moderate dehydration. A team of experts and athletes who recognize and understand the importance of hydration, including two former elite runners, a retired military officer and a physician, developed SOS. The company’s co-owners and advisory board includes four-time sailing Olympic gold medalist Sir Ben Ainslie, Indycar champion Scott Dixon, and triathlon Olympic gold medalist Hamish Carter, athletes who understand mild dehydration’s effect on endurance activities, running, cycling and competing at the highest levels. SOS is a complex, specially formulated blend of sugar, sodium, potassium, citrate and magnesium. When fluid arrives at the first portion of the small bowel SOS activates the body's sodium/glucose co-transport system when one molecule of sodium is pulled from the small intestine into blood vessels by one molecule of glucose. Due to osmotic forces, water is absorbed because it follows sodium. Many sports drinks attempt to hydrate and fuel, but higher sugar levels often leads to GI distress. Sugar increases osmolality (the measure of solute concentration), and instead of pushing water into the blood vessels, it pulls it into the gut, causing bloating or even diarrhea. For this reason SOS has only 25 calories per serving and a low osmolality of 230 Osm/L to more effectively transport water into the body. SOS is an ideal hydration solution for athletes and anyone engaged in an active lifestyle. Using it before, during and after exercise will both aid rehydration and recovery. It comes in single serving packets that are simply added to water, creating a drink with mild lemon flavor. www.sosrehydrate.com.